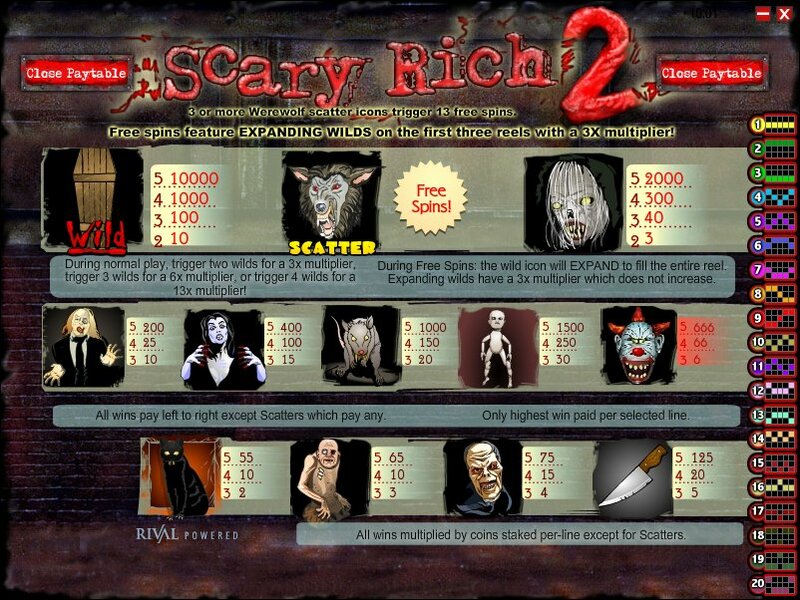 Overview: October 2008: Just in time for Halloween, Scary Rich 2 is the newest video slot from Rival Gaming. This sequel to the most popular Rival video slot to date features Multi-Reel Expanding Icons, 13x Wild Icons Payout for 4 wild icons hit, 13x Free Spins and many more exciting thrills and chills. 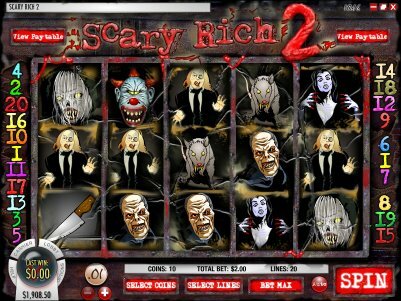 Similar Slots: If you like Scary Rich 2, you might like these other Rival video slot machines: Aussie Rules, Cleopatra's Coins, Gobblers Gold, Moonlight Mystery.